Standard US 110-120V Power Cord. A printed manual is not supplied. We maintain our manual online for all our products to allow for updates and revisions as needed and keep our price low. Plug the device into an outlet. 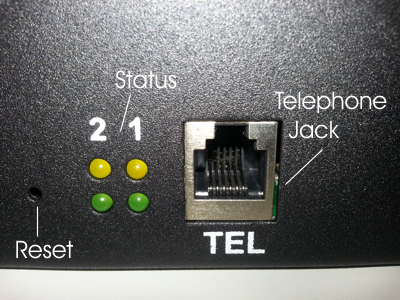 On the front of the of the RPS-IV there is a RJ-11 telephone line jack. Take a modular telephone line cord and plug one end into the port. Plug the other end into the telephone wall jack. Wait until approx. 3 rings are detected. When the above condition is met the unit will pick up the phone and issue a voice prompt for a password. Use your touch tone keypad to access the unit for further configuration. Use the default security code (configurable) , 1 2 3 4 5 6 once the unit picks up to access configuration options. Follow the voice prompts to control the remote power switch. You can check the status of each programmable setting and receive information about power status to the device you have plugged into the RPS-IV though its voice prompts. After calling the unit, you will be receive a prompt for your 6 digit password. 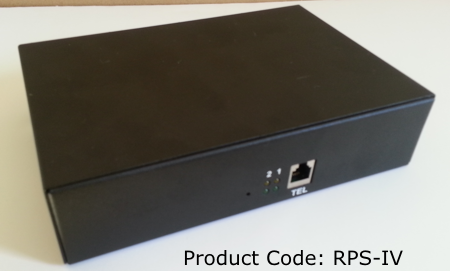 Once you enter your password, you will receive a power port status ( power on or off for each port ) and be voice prompted to control the other functions of the RPS-IV. After any command, you will get speech guidance or an acknowledgement tone of your actions. This voice prompted remote power switch is very easy to use.